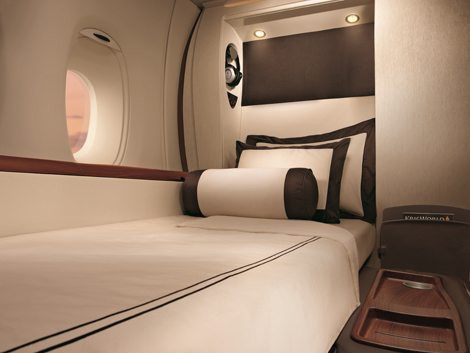 Singapore Airlines will introduce a new generation of A380 first class suites and business class seating in 2017. The carrier’s executive vice president of commercial, Mak Swee Wah, said the new seats will be available on SIA’s next batch of superjumbos. He declined to comment on design details. SIA operates a fleet of 19 A380s, with orders for a further five. These are slated for delivery in 2017, and will come fitted with the new products. While little is known about the new seating, Nicholas Ionides, SIA’s vice president of public affairs, confirmed that the next generation suites will be “an entirely new design from the ground up”. 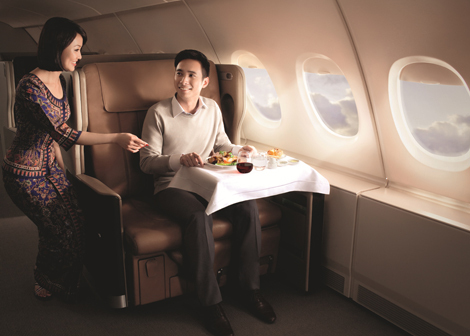 The airline began making minor aesthetic changes to its SIA Suites product last year. For instance, it replaced the burnt orange-coloured seat with black leather to match tones seen in B777-300ER products launched in 2013 (see news, July 2013). As the launch customer of the A380, SIA introduced its existing cabin products back in 2007, making them almost a decade old. The current SIA Suites product is the work of French luxury yacht designer Jeal-Jacque Coste, while business class was devised by long-time SIA collaborator JPA Design.